Follow Me! 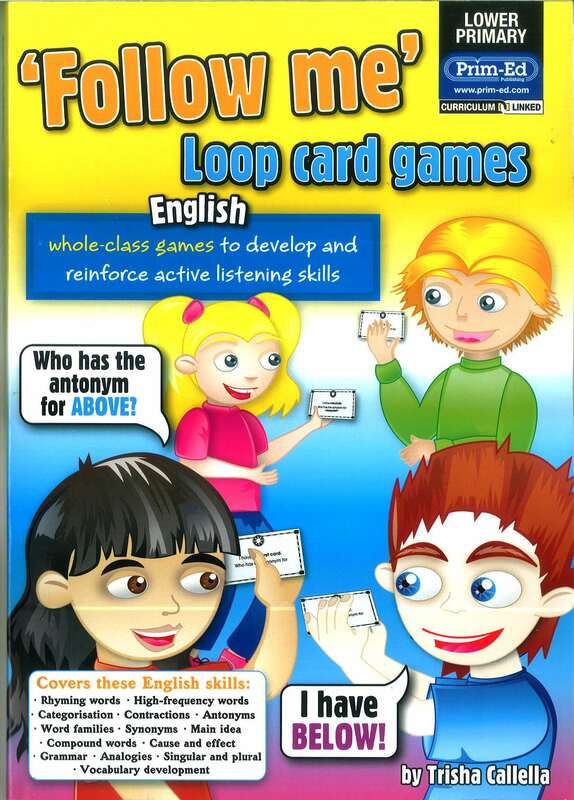 - Loop Card Games - English is a series of three books designed to reinforce basic literacy skills using auditory discrimination as the major focus. Using interactive game cards, pupils work in small groups or as a whole class to complete a chain of questions and answers. Each pupil maintains involvement in the oral language game by using the supporting active listening enrichment copymaster, designed to track the progress of the game. Each book contains simple-to-prepare activities, blank pro-formas (to produce your own games) and clear and concise answer pages.